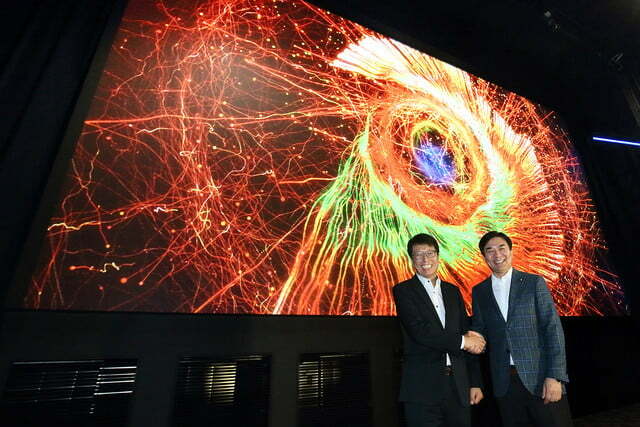 In the coming times, you might have to just say goodbye to the traditional cinema screens as Samsung just launched a Cinema LED of 34-foot. 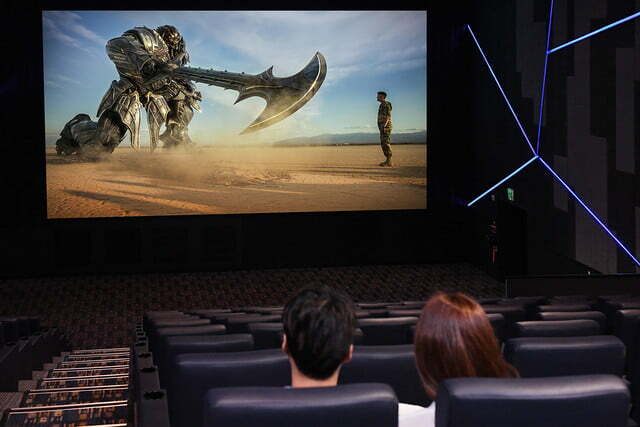 This massive size screen is the first ever cinema sized LED screen, which was unveiled at Lotte Cinema World Tower theater in Seoul, South Korea. The first picture that comes to our mind when we think about a movie theatre is a dark place full of seats, a bright light in the back coming from a projector and a blockbuster playing in front on a big screen. But the future we see through the eyes of Samsung eliminates the traditional projector and screen from this picture, and the results we see so far tells us that it’s going to be pretty amazing. This 34-foot screen has a true 4K resolution of 4,096 x 2,160 pixels, which is very different than the Ultra HD resolution we see on 4K UHD TVs and projectors as they just have a resolution of 38040 x 2160 pixels. With the screen getting bigger, everything else gets bigger and better too. This LED screen boasts high dynamic range, a near infinite contrast ratio and a brightness level that is nearly 10 times greater than what we see on most cinema projectors. The first ever cinema sized LED screen also includes full coverage of the DCI color spectrum which is also first of its kind. If you are thinking with this new invention only picture quality will get better then you are wrong, because this system is built to ensure they’ll sound good, too. 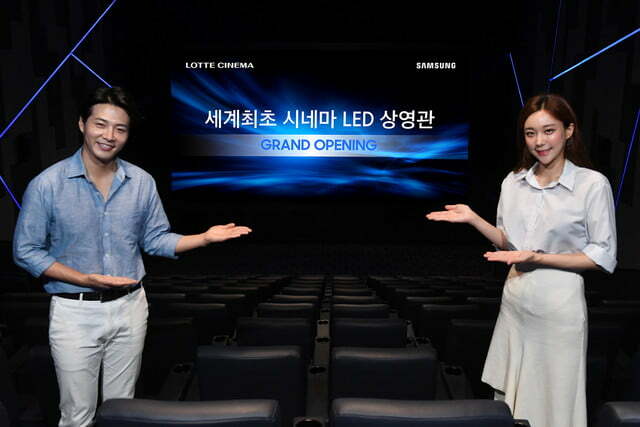 At the screen shown off in South Korea, Samsung cooperated with JBL and Harman, who installed giant, high-powered speakers around the screen, and bolstered them by JBL’s Sculpted Surround system and proprietary audio technology. Basically once this becomes accessible to the general masses, watching movies will never be the same again. 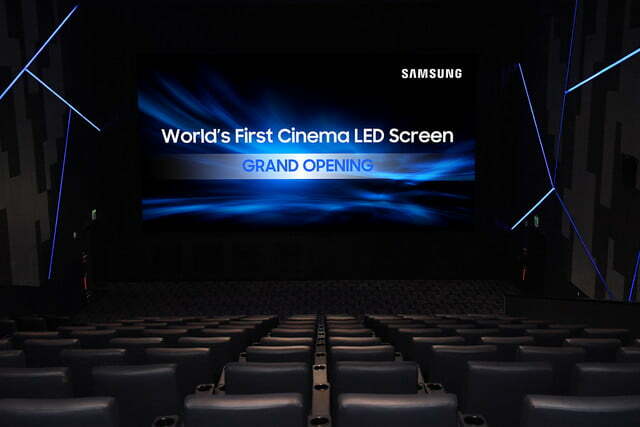 More good news is that Samsung just does not restrict the 34-foot LED screen to theatres, but it also wants it to be used for corporate events, concerts, sports event viewing and gaming competitions. 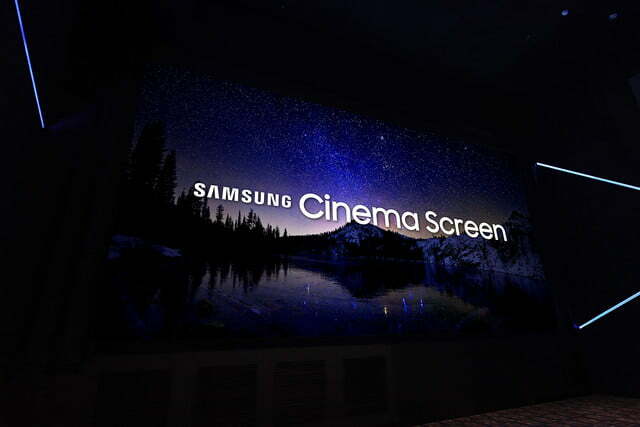 When Samsung will launch their screen then we surely will see it giving a hard competition to iMax theatres and Dolby Cinemas. 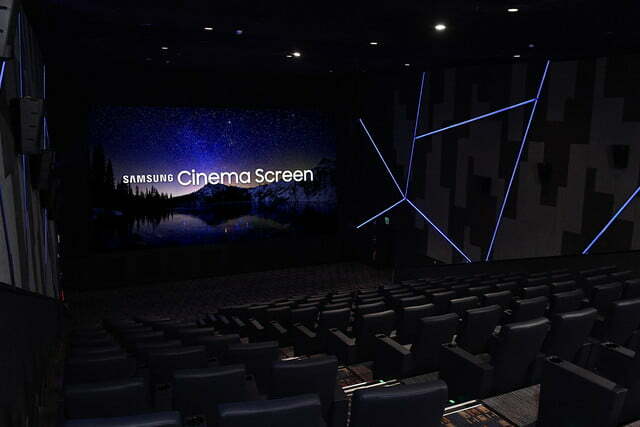 If you are wondering what cinemas,who can’t accommodate 34-foot, will do then Samsung has got a solution for that too. They have designed the display in separate cabinets so the screen can be scaled to whatever size is required. We are sure after reading all this you can’t wait for it to come to your neighbourhood cinema, but you’ll have to wait for a while. Right now we are hearing more theaters across South Korea adopting Samsung’s new display throughout the year, and it is also going international, with China, Japan, the US up next. So hold on to your horses until it comes in your town.